Savour have a passion for farmhouse beers and creating a modern Scottish version of the classic Belgian styles. Saisons were traditionally brewed to quench the thirst of farm workers in the summer months. 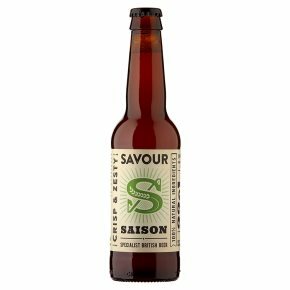 Savour's Saison is crafted with lemongrass, which adds a lovely citrus note to this smooth beer. Crisp & zesty. 100% natural ingredients.Destined for farm workers during the summer harvest this light, crisp saison incorporates fresh lemongrass and world hops for a zesty aroma and refreshing finish.